'34102 Lapford', Ropley, Sun 9 March 2014. Lapford was scrapped in 1968. 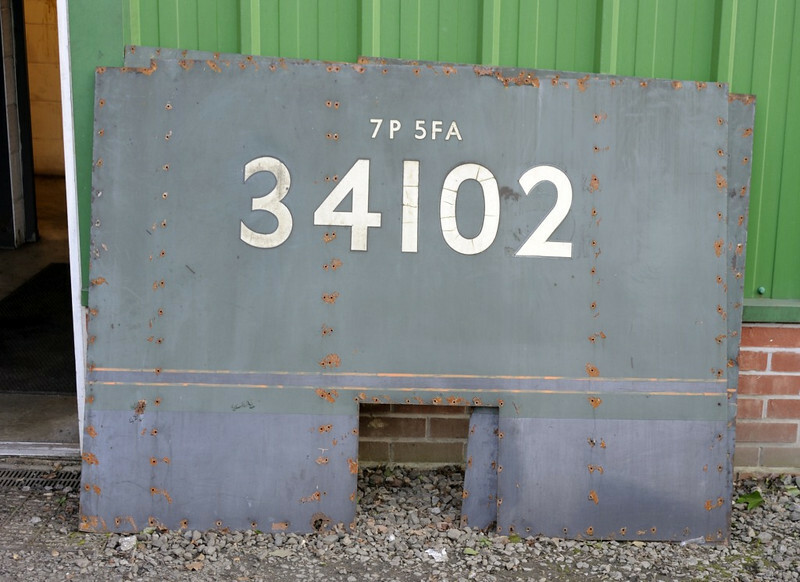 These cab sidesheets belong to 34105 which ran as Lapford before it was withdrawn for overhaul.